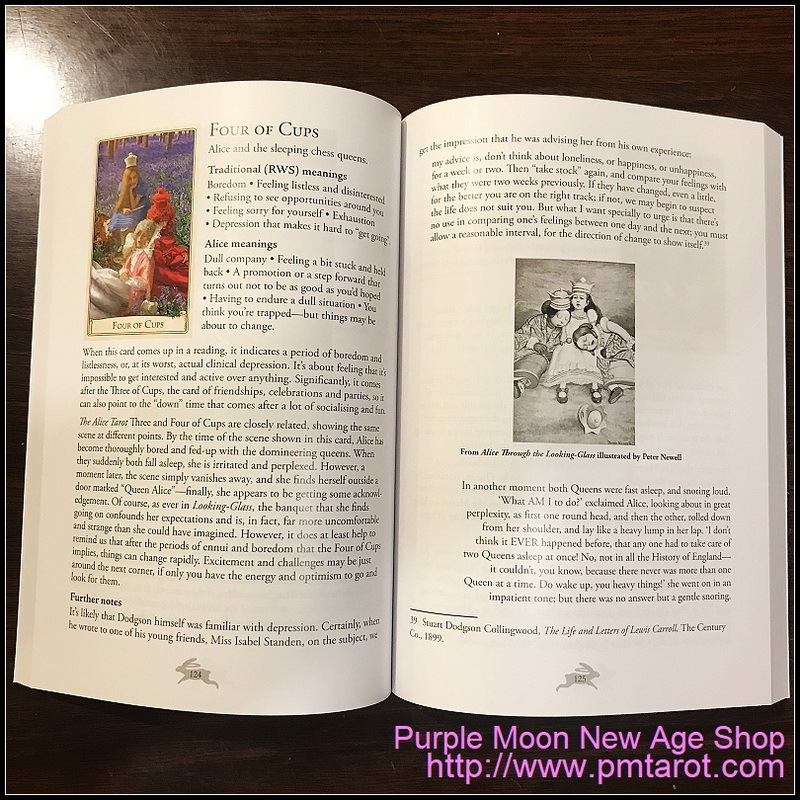 This is the companion book for The Alice Tarot. It's a well-illustrated and detailed book with coloured card images. Please note that as this is the second edition, the cover will be slightly different. - Now with coloured card images! - Written by one of the creators of the deck, Karen Mahony. - Includes keywords and descriptions for each card. - Special "Alice" meanings are included, to add new possibilities to the interpretations. - With a general introduction and a discussion about significant aspects of the deck. - Includes sections on reading approaches and sample spreads including special "Alice" spreads. 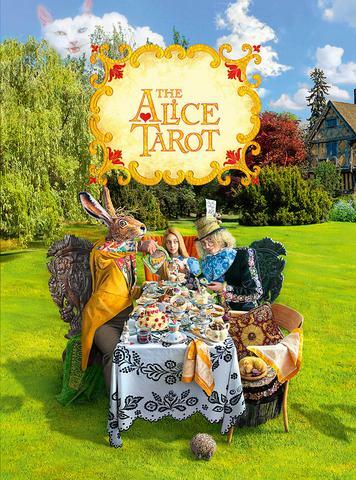 - Abridged versions of both Alice books show where each card fits into the stories. - More than 280 pages.